Based in Regina, SK, Kuntz’s Automotive has been providing quality automotive services since 1992. We work on both domestic and foreign vehicles, and our honest repair and maintenance services have earned us many long-term clients. Owner Wayne Kuntz and son, Kyle have over 50 years of automotive service experience, so you can be assured your vehicle is in good hands! Our experienced and professional journeymen technicians keep up to date with all the new technological advancements in the auto industry, and understand how important it is that your vehicle is in proper working condition. We can handle anything from routine maintenance, oil changes, brakes and rotors, timing belts, tire rotation, engine replacement, and more. 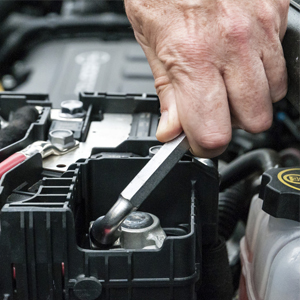 If your vehicle needs repair services, you can be assured that our technicians will take the time to explain to you what is wrong and give you advice to keep your vehicle running smoothly. We will get you safely back on the road in no time! Contact us today for your vehicle repair and maintenance needs!